At IGA Mermaid Waters, we like to make it easy for you. 4. We will reimburse you 4c a litre on your petrol receipt. * Offer is limited to one petrol receipt per transaction for a fuel purchase of up to 80 litres. 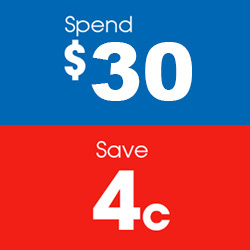 See instore for full details and conditions of this offer.